« A CCW Permit Online? In Under an Hour? Many may remember the infamous picture of obedient Connecticut residents queued up in long lines to register their firearms. Despite the long lines and the end-of-year deadline, Haar reports that state police had only received approximately 50,000 applications for registration – a number which includes over 2,000 incomplete (and, thus, invalid) applications. This is a figure that is estimated to be as little as 15% of so-called “assault weapons” in the state. This means that, overnight, anywhere from 20,000 to 100,000+ CT firearm owners became felons, guilty of a class D felony by not registering their firearms. This includes not only citizens who are ignoring what they consider to be an unjust, unconstitutional law but also many others who may not have been aware of the registration requirement. 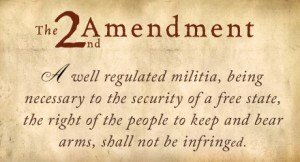 And now, by virtue of being newly-minted felons, they are disallowed from owning any firearms. A Connecticut State Police representative quoted in Haar’s article said “Like anything else, people who violate the law face consequences… that’s their decision. The consequences are pretty clear.” It could be interesting, and possibly problematic, to see how this plays out as the law is enforced against now-felons who are simply trying to exercise their natural born rights that are protected by the US Constitution. Read Haar’s full article here, as well as The Blaze’s coverage of the situation here. Discuss the ‘civil disobedience’ acts below in the comments section and on the GunLink Forums.